Rongeurs are like pliers with a heavy, pointed jaw. They are used for gnawing holes in bones during surgery. This could be neurosurgery where the surgeon must remove part of the skull to expose the brain. It could be an orthopedic surgery or even a cadaver dissection. With the rongeurs, we have bone cutters, too. 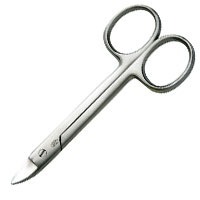 These are also heavy duty instruments designed manipulating bones during small animal surgery. These instruments are for use a research laboratory.